The iPhone’s camera is crucial for Apple as it’s always working to promote how good it is. Followed by a series of ads centering on the iPhone 7 Plus, the company has now published a new mini website that covers nearly two dozen how-to videos. The page is titled “How to shoot on iPhone 7” and each video runs for about 40 seconds. There are quite a handful of videos and each one of them shows you a different aspect on taking photos. So let’s see some more details on Apple’s ambitions to promote its iPhone camera. Rather than simply releasing the new “shot on iPhone” ads, Apple went with posting five clips on YouTube that teaches users a few basic tricks for capturing stunning photos with the iPhone. For an in-depth insight, check out the videos embedded below. The iPhone 7 and its bigger 5.5-inch variant feature one of the best cameras on the iPhone to date. However, the iPhone 7 Plus is different than the previous plus-sized variants as it is incorporated with a dual lens camera setup that features an exclusive portrait mode. Apple’s series of tutorials ranges from taking depth-of-field images with the Portrait mode on iPhone 7 Plus, adjusting exposure, using tap to focus, shooting low-light images, snapping vertical panoramic photos, capturing selfies with timer, taking still photos while filming a video and much more. So if the iPhone is your go to daily camera for taking everyday photos then be sure to check out Apple’s how-to tutorials. If you do not have an iPhone 7 Plus, only one out of the five videos posted on YouTube will not help you, the rest of them emphasizes on standard photo taking abilities. Even though Apple’s tutorials are pretty short and concise, it does its part by teaching you exactly what you need to do in order to improve your photo taking skills. 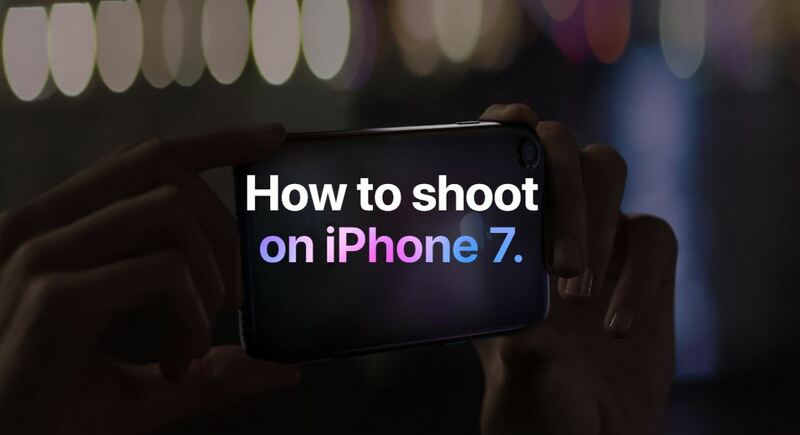 All you have to do is follow the step by step instructions provided by Apple on the screen and start shooting. It is preferred that you have an iPhone by your side for a more practical experience. Learn the tips, combine them and work your way up to take stunning photos with your iPhone. This is it for now, folks. What are your thoughts on Apple’s new tutorial segment that teaches iPhone users to take outstanding photos. Do you think the camera on the iPhone is one of the best ones on the market? Share your thoughts with us in the comments.